This is the group where you post all your gorgeous snapdragon wallpapers. All colors are welcome. Snapdragons only in this group please. Snapdragons are tender perennials that are only hardy in U.S. Department of Agriculture Hardiness Zones 8 or 9. They can repeat bloom throughout the season but do best in the cool of spring and fall and throughout the winter in mild climates. 2019 is the year of the Snapdragons according to the National Garden Bureau. Snapdragons are tender perennials that are only hardy in U.S. Department of Agriculture Hardiness Zones 8 or 9. They can repeat bloom throughout the season but do best in the cool of spring and fall and throughout the winter in mild climates. 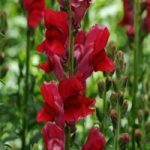 There are 18 varieties of Snapdragons and many colors. For other flowers, please visit my Multicolor Flowers group, Spring Bloom Flowers group, and Summer Bloom Flowers group. Please no spam is allowed in this group. Spam will lead to banning from the group and report to Nexus. Thank you for visiting us today. If you have not done so yet, please consider joining and sharing your beautiful Snapdragon wallpapers for all to see.